No matter where you are in New York City, there’s likely to be about 10 retailers within a 5-yard radius. While that’s great for those looking to shop, it also makes sifting through the less-than-stellar options a slightly daunting task, especially when you only have a limited amount of time on your hands. You probably already know that Fifth Avenue is great for high-end designers, but there’s a whole slew of cool boutiques and local outlets that get passed over by tourists all too often. Some of the best ones, clustered by neighborhood and theme for ease and minimal travel time, are listed below -- shop wisely. 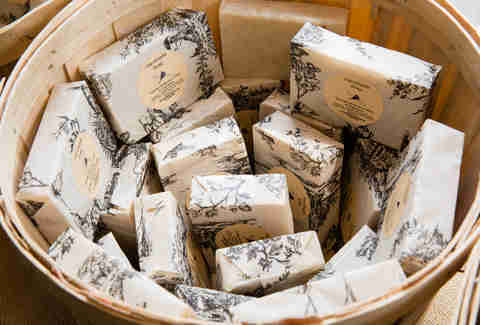 Astoria native Vivi Dritsas is the driving force behind this all-natural apothecary featuring her own handmade body scrubs, lip balms, hand soaps, massage oils, and more. 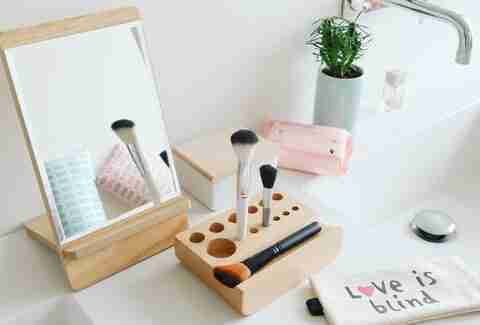 Luckily, if you fall in love with the products, you can order your next batch online once you get home. Whether you’re a regular at the skatepark or not, this local skate line’s branded caps, socks, and graphic tees are worth checking out -- think Supreme, minus the excess hype and long line outside. If you really want to get into the skate spirit, the shop also offers private and group lessons. There’s something for everyone at this little gift shop, from art to jewelry to greeting cards and children’s books, all hand-picked by owner Andrew Purdom. 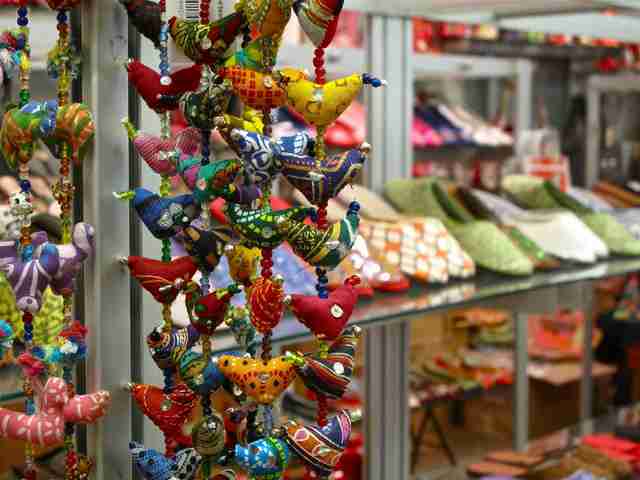 Ask him to point you in the direction of the pieces produced by local artisans. 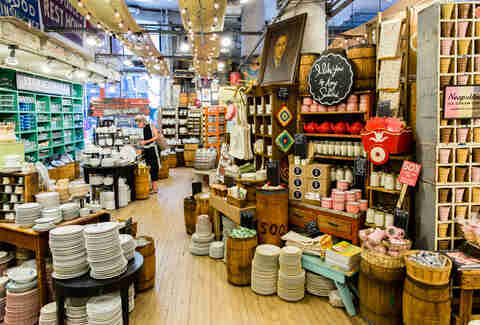 You can find just about anything at the self-proclaimed “world’s first Chinese-American department store,” from jade glass figurines to parasols (it’s a stumped gift-giver’s paradise), but if you want to stay on task, make a beeline to the bath and body products for beautifully packaged soaps, cotton masks, and exfoliating cloths. Housed behind an unassuming storefront on top of a Chinese restaurant, this narrow space is lined with brightly lit cubbies filled with rare products. Snag the brands you’ve only ever heard about in beauty junkie YouTube videos or let the staff know what you’d like to improve about your skin -- chances are they’ve got just the thing. More of a casual skin care enthusiast than a true addict? Tonymoly’s playful and inexpensive products -- like hand creams encased in compact, fruit-shaped containers for $12 -- are a gateway to great skin without having to commit to a 12-step facial routine. In addition to teas, sweets, decor, and kitchenware, this unassuming grocery shop stocks a number of unusual Chinese face masks that sound ready-to-eat (caviar, chocolate truffle, and Earl Grey tea & macaron varieties). Just don’t... actually eat the masks. Sharp, casual menswear pieces are the primary draw for any guy looking to flesh out his daily go-tos, but the boutique’s owners also happen to run an interior design firm, which means you’ll also find fiberglass stools, cheeky pennants, and rugged desks for sale. 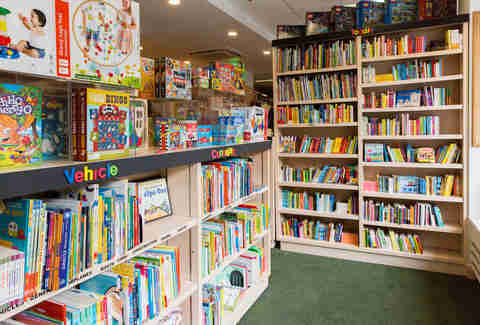 Author Emma Straub and her husband are the owners of this endearing bookstore, which boasts shelves dedicated to both bestsellers and local authors. Highlights include a series of playfully illustrated cookbook pamphlets that contain recipes focused on one specific ingredient, and a children’s section that doubles as a playroom for pint-sized bibliophiles. 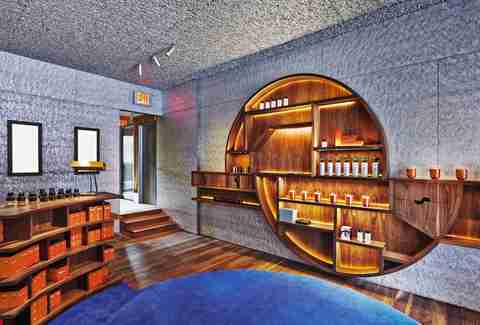 Goop devotees, rejoice. Gwyneth’s line of cleansers, masks, and oils is stocked here, alongside an impressive line-up of buzzy and under-the radar natural beauty brands, and the friendly staff is eager to help you figure out exactly which cream you should take home in your carry-on. You’ll find both current trends and old standbys like cropped tees and straight-leg denim here, all at a pleasantly approachable price point (most hover around $150 or less). 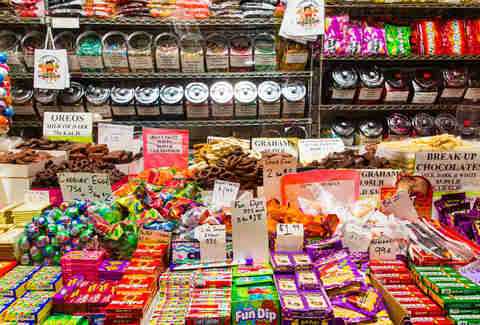 A dose of classic New York amidst a sea of contemporary up-and-comers, this Middle Eastern grocery is a Brooklyn retail Institution -- it opened its doors in 1948 -- and hosts a true international smorgasbord of flavors. Stop by the bulk bins for a beautiful array of nuts, dried fruits, and grains. This tiny gem is exactly what a vintage store should be: warm, inviting, and packed with treasures from another era. Come to browse the racks, stay for the great conversation -- owner Delanee Koppersmith is a true ray of sunshine. There’s a good chance that if you spot someone in New York with great vintage glasses, they were purchased here. Search through centuries of deadstock frames, stored away in labeled drawers, and don’t forget to check out the hat selection in the adjacent room. If still can’t get your hands on the Nintendo Switch, why not pick up a few new games for the consoles you have collecting dust at home? Every corner of this walk-in closet-sized shop is stacked high with games, parts, and accessories from the Atari 2600 to the PS4. If you’re more likely to swoon for designer tees than novelty print swing skirts, this is your spot. Looking for a Vetements-inspired logomania fix? You’ll find all your favorite early aughts brands are here (and at a significant markdown). There’s nothing quite as disappointing as spying a perfect vintage piece in a store window, only to find out it was made to fit someone half your size. At D.L. Cerney, you can expect classic, vintage-inspired silhouettes in modern (read: stretch) fabrics, but most importantly, every design comes in a range of sizes. 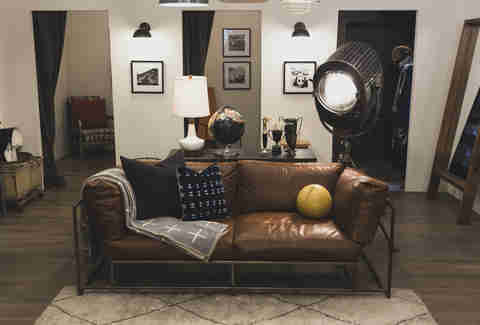 More of a home design wonderland than a store, ABC boasts six sprawling floors of upscale furniture, decor, and carpets. As you move through romantically ornate chandeliers and imported wovens and dip-dyed textiles, you’ll feel a bit like you’re taking a quick trip around the world. If you feel at home the minute you walk in here, you’re in luck. Once you’ve tried out the Aeron and Eames chairs, fallen for the Noguchi tables, and decided that you absolutely need a Hang-It-All, the sales associates will be all too happy to help you order everything you can afford, direct to your doorstep. Head upstairs to check out fabric samples, Alexander Girard art objects, and a solid design book section. If you can manage to tear yourself away from the brightly hued, boldly patterned clothing at the front of the store, you’ll find this Finnish brand’s equally eye-popping approach to home decor, in the form of dishware, shower curtains, bedding, and much more. This endearingly stuffed tableware shop (careful not to knock anything over) is big on clever-quips-and-Americana-infused dishes, utensils, linens, and novelties. Fine china need not apply. The eponymous proprietor of this shop came to Brooklyn from Lagos, Nigeria in the ‘80s and his roots are at the center of all his designs for men and women: batik shifts, denim and linen dashikis, patchwork wrap skirts, and bold chokers. The bubbly, playful Danish chain is starting to make a name for itself stateside -- stop in to find knickknacks, tchotchkes, thingamajigs, and other things you never knew you needed, all vividly colored and priced so low you could buy in bulk. Don’t miss the home goods section, with candles and napkins in every color and pattern imaginable, for a cheap upgrade to your next dinner party. With its brightly patterned arrangement of baskets, clothing, rugs, and statuettes, 21Tara has a subdued bazaar vibe -- you’ll want to linger over every detail. Run by first-generation Tibetan immigrants, the store is stocked with fair trade merchandise that supports family-owned businesses and artisans abroad. Expand your mind with the global titles for sale at Greenlight. Ask the knowledgeable staff to recommend their favorite international authors -- if they don’t have what you need, they can order it and have it waiting for you when you get home. Get ready to haggle. This bustling bazaar, packed with rows upon rows of West African vendors features leather goods, textiles, woven baskets and handbags, and a whole lot more. 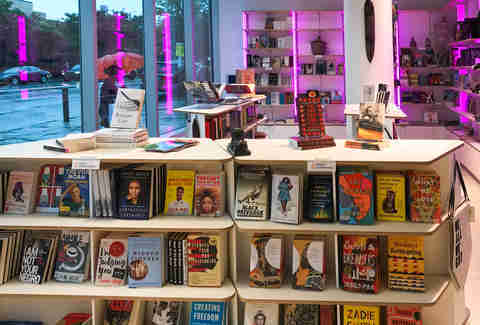 The Studio Museum is dedicated to “promoting the works of artists of African descent,” and that mission is carried through in its store, where you can find black art splashed across accessories, displayed in books, and all throughout every item for sale. You don’t have to worry about running into Trump: The Art of the Deal on these shelves. Big ideas mingle with friendly conversation here, which has operated since 1978 under the direction of activist Bob Avakian, chairman of the Revolutionary Communist Party. Recent releases include writings by Yusef Salaam, one of the wrongly convicted Central Park Five. CW Pencil Enterprises owner Caroline Weaver literally wrote the book on pencils. Her hardcover tome on the old-school writing instrument’s cultural history is for sale at her jewel box of a shop, among a dizzying array of wood-cased (not mechanical) pencils. 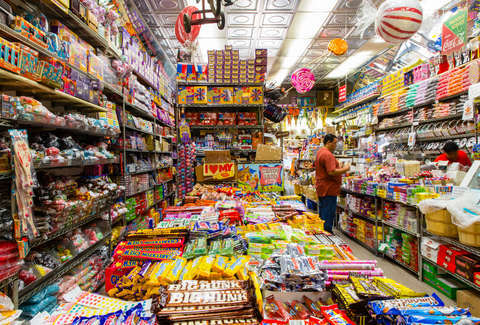 If there’s a candy you remember from your childhood, chances are it’s here, along with imported bonbons, gummies rendered in every shape imaginable, and deadstock trading cards. Garbage Pail Kids, anyone? Just about everything in this sparsely appointed shop is black or white and draped beautifully with an avant-garde sensibility, from the eponymous in-house brand to the Comme des Garçons Tricot separates. Stanley’s is far more than your average drugstore. Yes, you can get prescriptions filled and grab a hangover cure, but the main draw is the variety of loose leaf tea blends to stash in your pantry for anything that ails you. After a three-year-long renovation, the Cooper-Hewitt has shaken the dust off and reopened to the public with innovative technology and design housed in a turn-of-the-century Georgian mansion. Likewise, the shop is packed thoroughly modern merchandise from Tom Dixon home goods to porcelain jewelry by New York’s own ARC Objects. If you’re bringing souvenirs home, skip the Times Square schlock and come here. New York is nothing if not multifaceted, and the shop inside this museum dedicated to the city’s history reflects just that, with books on every era and subculture imaginable, archival photography, and more. The Frank Lloyd Wright-designed building is an icon in its own right and the store acknowledges that with mini-Wright spirals to take home (in the form of teapots, mugs, and jewelry), plus postcards and prints featuring the museum facade through the years. Beyond the self-referential, the roster runs the gamut from mid-century modern (Bauer Pottery and sleek mobiles) to contemporary cult faves (Annie Costello Brown earrings and Maurizio Cattelan tomes). While not technically attached to a museum, this bookstore, located inside the Cultural Services of the French Embassy building and known for housing contemporary, classic, and rare French works (in both English and French) is still a must-visit attraction. Vous ne parlez pas français? The plush seating, cozy nooks, and gorgeous painted night sky ceiling upstairs transcend any language barriers. Adored by cool girls across the country, Reformation has been turning heads since 2009 with its sustainable-but-not-crunchy lineup of wrap dresses, mini-skirts, crop tops, and denim. The brick-and-mortar shops are strictly bicoastal, so now’s your chance to try before you buy and sample the rotating in-store vintage collection. 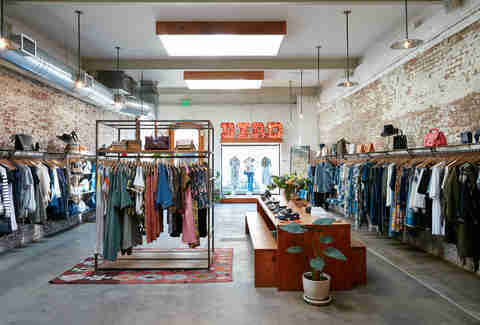 The first East Coast retail location from this Venice Beach-based brand comes with its own distinctly airy, cacti-infused decor, ultra-friendly staff, a seemingly endless selection of frames (plus customization options), and a rotating art gallery in basement space below. You can thank Brigitte Bardot for taking the ballet flat from stage to screen to style staple, and now that this famed ballet flat brand’s first stateside boutique has opened its doors downtown, you can easily get a bit of Parisian fair without the transatlantic flight. Considering you spend a third of your life sleeping, you should probably be indulging in great-looking pajamas. Striped, dotted, printed, patterned -- find the sleepwear you won’t want to change out of here, along with slippers, eye masks, and “not-quite-ready-to-wear” separates for him and her. Tough-to-find brands from all over the world mingle at this ‘90s clubhouse-style store created by two childhood friends, including laid-back Ganni from Denmark, Hungarian-made Nanushka, and boldly romantic Alice McCall from Australia. Wander through -- you guessed it -- five stories of beautifully appointed rooms in this former townhouse filled with men’s and women’s clothing, shoes, bags, shades, and more from both independent luxury lines (Khaite, Protagonist) and cult favorites (Lingua Franca, Rebecca de Ravenel). Round out your olfactory wardrobe with a scent or two from one of the biggest names in the business, tucked away behind an Art Deco facade. Frederic Malle is run like a publishing house, with various perfumers releasing fragrance “editions,” and Malle -- who comes from a storied family of perfumers himself -- acting as the editor-in-chief. 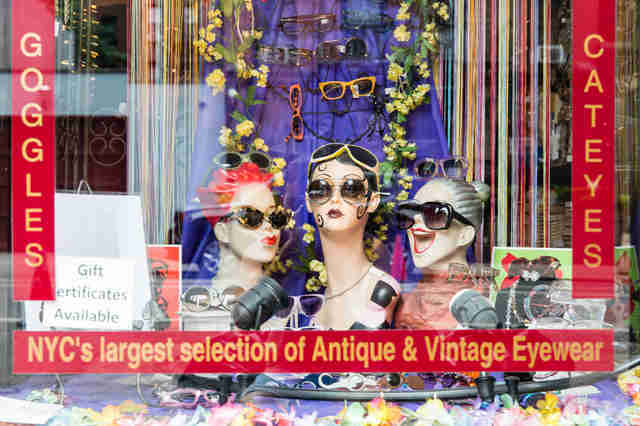 Don’t let the name fool you -- the items on sale at this shop (which has been around since 1967) are very much suited to an uptown New York sensibility. Think crisp shirting, tweed jackets, soft cashmere, and riding boots. The store’s motto is “fashions change, classics evolve,” and the space itself has a bit of an old university club atmosphere to match the merchandise. The windows at Bergdorf’s are always a treat, but if you’re not actually in the market for a Judith Leiber clutch, head east to Zitomer. A New York City retail landmark, the department store has been in business since 1950, and it’s retained much of its midcentury charm and clientele. The first floor is a veritable beauty emporium, stocked with everything from correcting concealers to your grandmother’s favorite cold cream. Don’t be afraid to try both. Teen and tween girls are notoriously picky, but there’s something for every adolescent taste here: slogan tees for every day of the week, standout backpacks, and so, so many emoji accessories. Swedish for “Buddy and the Little One,” Polarn O. Pyret brings a Scandinavian sensibility to kidswear: bright prints, smart design, simple cuts. A neighborhood favorite since 1981, this shop is a well-kept local secret. Don’t hesitate to ask for help selecting an item -- the staff has decades of expertise in finding toys kids didn’t even know they needed. With thousands of children’s titles, there’s a story here for every kid, from Arnold Lobel classics to brand new books like She Persisted, authored by none other than Chelsea Clinton. Known for its expansive and ever-growing roster of cool designer pieces, Bird has four Brooklyn boutiques to choose from, but the Williamsburg location stands out for its menswear section -- the killer lineup includes Dries Van Noten, Our Legacy, Common Projects, and Comme des Garçons. Tweedy overcoats, sharp blazers, double monk-strap shoes -- Brave GentleMan easily fits into any well-dressed man’s wardrobe. What sets the brand apart is that every piece is 100% sustainable and vegan. With its blonde wood fixtures, bright light, and artful greenery, this surf and supply shop is a beach oasis in the middle of Brooklyn. Not in a position to haul a surfboard home? A pair of crisp board shorts will pack up nicely. It’s no accident that Upstate Stock initials are US -- American manufacturing is the unifying thread linking everything on sale here, from the in-house brand’s hats, gloves, and skin care products to Fortune Goods jewelry and Velva Sheen tees. Roxanne is a writer who renounced the KonMari Method in exchange for endless wardrobe options. Follow her on Instagram and Twitter.